The Hobbit: Desolation of Smaug is out TODAY! To celebrate, Regal Cinemas held a massive party at Meltdown Comics in LA. It is hands down the best gathering of Tolkien fans we’ve ever seen, complete with dwarf rapping, Gandalf roasting, and cosplay! 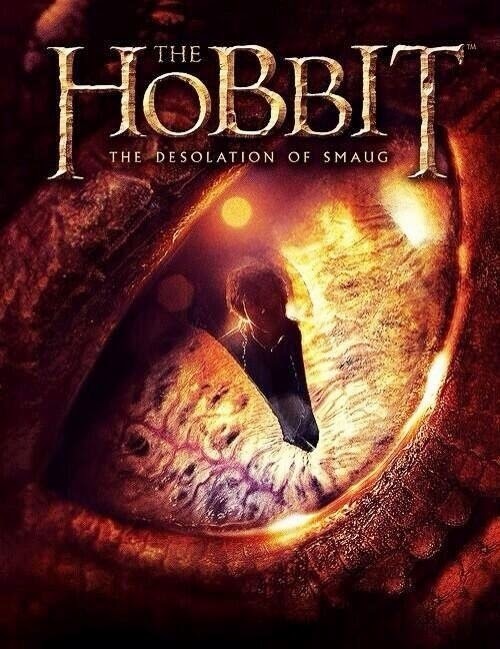 Coming Soon has posted a new poster and image from The Hobbit: Desolation of Smaug! Meanwhile, the still from the film gets us a look into the action-packed “Barrels out of Bond” chapter from the original book, including the arrow-riddled barrels! Let’s not kid ourselves: We all occasionally have some trouble telling after the dwarves of The Hobbit. There’s a lot of them! There’s really no shame in it. Fear not, Tolkien lovers, The LOTR Project has come up with an awesome chart to help you identify them all in the film! We’ve challenged you before to name all the dwarves in The Hobbit, and now — thanks to a new Hobbit banner — we can show them to you. I remain a little mystified by Kili, who looks like he’s wandered straight off the set of Gossip Girl– how can you even maintain that kind of artful stubble when you’re trekking through Middle Earth in search of a dragon? He’ll at least be easy to tell apart from the others, which is more than i can say for Thorin Oakenshield, who is the leader of the pack and clearly has that rugged hero thing going for him, but is also saddled with all the beard and fur that will make him hard to distinguish. Keep reading! 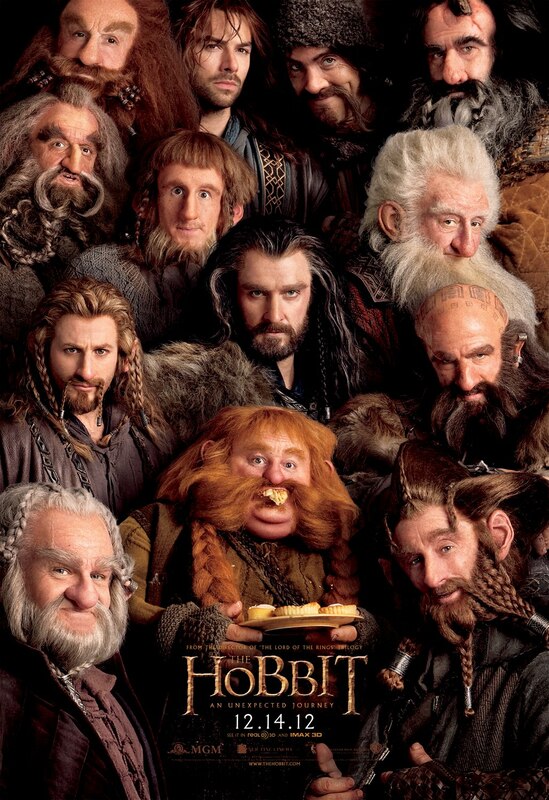 How do you like this Hobbit poster, featuring a full assemblage of dwarves? Their expressions range from “Wizard of Oz” munchkin silly, to inquisitive, to (in the case of Thorin Oakenshield) ruthlessly determined. There’s something for everyone. Challege: Can you identify all of them by their dwarf names? Can you name all the actors? Speak friend and enter! As if you needed more reason to see The Hobbit, the new trailer is out, and it’s — of course — awesome! This time, Peter Jackson shows us the lighter side of The Hobbit, with amusing repartee between dwarves and Bilbo’s surprise/annoyance at being recruited unexpectedly for this journey (hence, An Unexpected Journey). There’s also a funny tete-a-tete with Gollum. In addition, we get wonderfully nostalgic shots of Rivendell and the sweeping visuals of the mountains and terrain. With Jackson at the helm and the timbre of the film seemingly carried over pixel by pixel from the LOTR films (well, minus the new technology), this appears to be every Tolkien-lover’s dream. 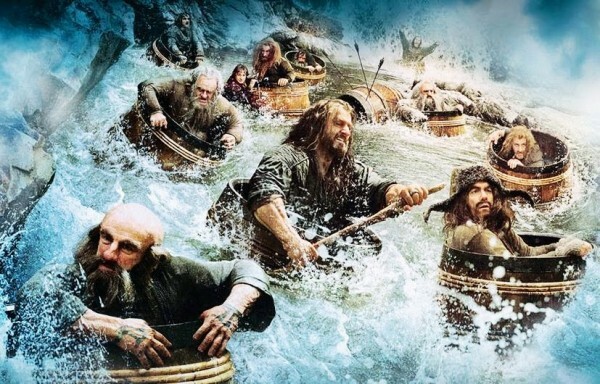 USA Today has a striking new collection of Hobbit photos that ought to leave every Tolkien fan salivating. And we’ll get to see the whole film in less than three months…so exciting! Thorin Oakenshield leads the pack. See the full collection here!